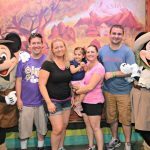 In the past couple years I have made a handful of trips to both Disneyland and Walt Disney World. Being the engineer, I like to organize and figure out the best plan of attack for making the most of these days (because, without a plan you will probably end up spending quite a bit of time in line). In addition to planning the days, there are other aspects to planning which are important, such as outfits and necessary trinkets. 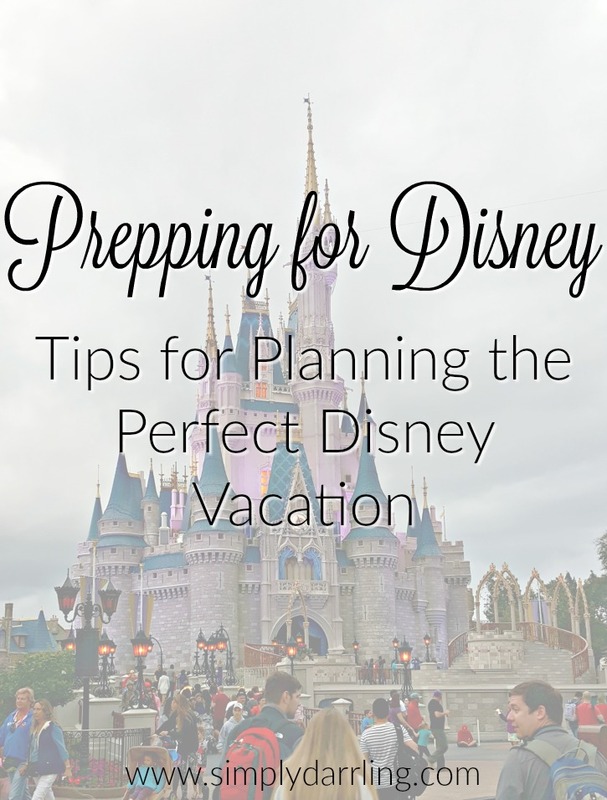 Follow along for some great tips if you are looking to plan the perfect Disney vacation. 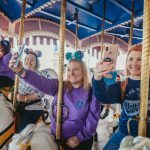 Depending on work and school schedule, it might not be possible to visit Disney off-season; however, certain parks can be busier different days depending on a variety of factors such as Magic Morning/Extra Magic Hours and the Parade and Firework schedule. The Undercover Tourist Orlando Crowd Calendar is extremely helpful in picking which parks we want to visit and on which days for Walt Disney World. Is It Packed is a good resource for determining which days Disneyland will be busy. These sites aren’t 100% accurate, but they will give you a good idea of what the park will be like. Even on not so busy days there will be waits so make sure to relax and be flexible. Remember that this is supposed to be fun and that you are at the Happiest Place On Earth. 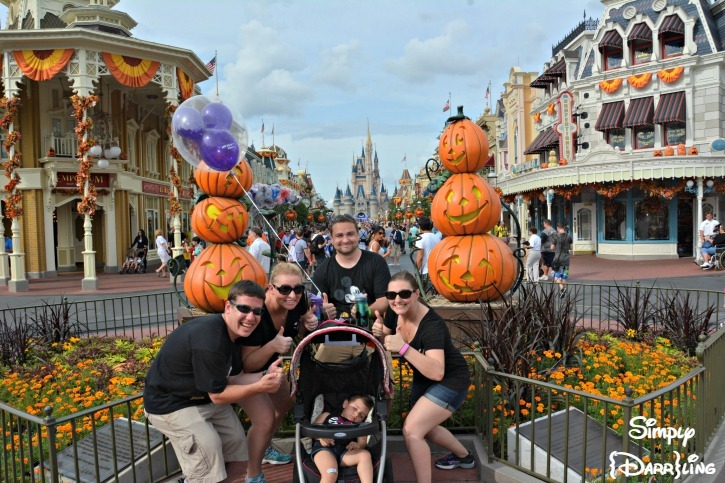 Both of my recent visits to Walt Disney World have involved toddlers. Both trips we opted to bring their strollers, it was nice to be able to toss snacks and purchases in the bottom of the basket and also have a spot for the kids to take a nap throughout the day. Strollers can also be rented either in the park or through 3rd party companies; however, we always ended up bringing them so that they could be used in the airport and other spots that we visited. I will say that the Disneyland strollers looked a lot more comfortable than the Walt Disney World strollers. If you are going to be using a stroller, find a way to make it your own because if you have a common stroller (especially Baby Jogger or BOB), it might be difficult to find yours in the sea of strollers after rides and shows. A Disney vacation is the perfect time to take that year’s Christmas card photo. 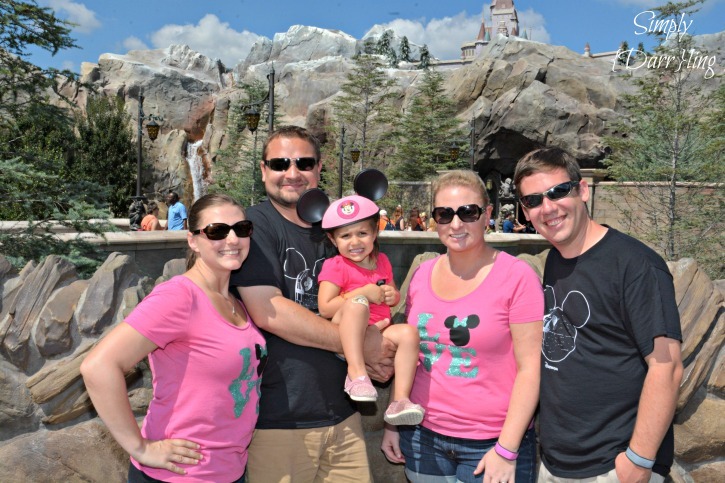 While everybody in the group might not want to wear matching shirts, try to come up with coordinating outfits (you are at Disney, have some fun with it!). I’ve made a few shirts for our trips, but there are lots of awesome ones available on Etsy, or simply heading to your local Target. Amazon also has lots of great shirts for kids. 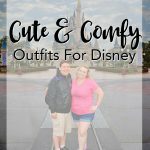 Also, check out this post for lots of ideas for how to DIY your own Disney tees. We were glad to have a couple meals planned before we headed down to the parks. We knew that we would have a spot to sit for an hour or so while we enjoyed the meals. Some meals even come with special perks such as reserved viewing for parades and shows (if you can get those, I recommend them as you don’t have to arrive as early to get a good viewing spot). The fireworks dessert parties are a delicious way to get a great view of the nightly fireworks show. It is easy to get lost in the vacation and you definitely don’t want to miss your fast pass or dinner reservations. To help keep everybody in line with set schedule items, I recommend creating a Google Calendar which is shared with everybody on the trip (just make sure to put the items in at the correct time zone if you live in a different time zone than Disney). This calendar is great for referencing throughout the day to see what sort of time you have available until your next scheduled item. 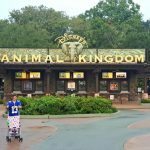 Amazon has lots of great Disney themed items which are prefect for your upcoming Disney vacation. I’ve put together a list of items which range from Disney themed band-aids & tooth brushes to games to play while waiting in line. Check out the list below to see some of the things that I recommend you bring along. These items will help make the whole trip magical and hopefully help you stay on budget while in the parks. What items do you always bring with you on a Disney vacation? Wow! That’s alot of meticulous planning. As a mom of three that goes to Disney often, I will say have some “just be” time. Don’t overschedule every minute because you never know if a super fun idea comes up and you just need to blow off the rest of your scheduled fun! I know you will have a wonderful time and I can’t wait to read all about it!! We still have a couple sit-by-the-pool days scheduled (and also an airboat ride!). This is my first time traveling with a toddler so I have a feeling there will be quite a few changes to my plan, but I like to know my options :) Thanks for the tip! We are hoping to take E to Disney just before she is 2 so I am super interested how Aubree does! This past May was our 3rd year in a row visit and the kids are already talking about what we’ll do next year, lol!! Autograph books are great too! I know everyone has tips but if your daughter is interested in meeting Princesses, Epcot is great for that! Most seem to go to Magic Kingdom for Princess meet and greets but Epcot’s lines to meet them are nowhere near as long! Have a blast, so exciting! !